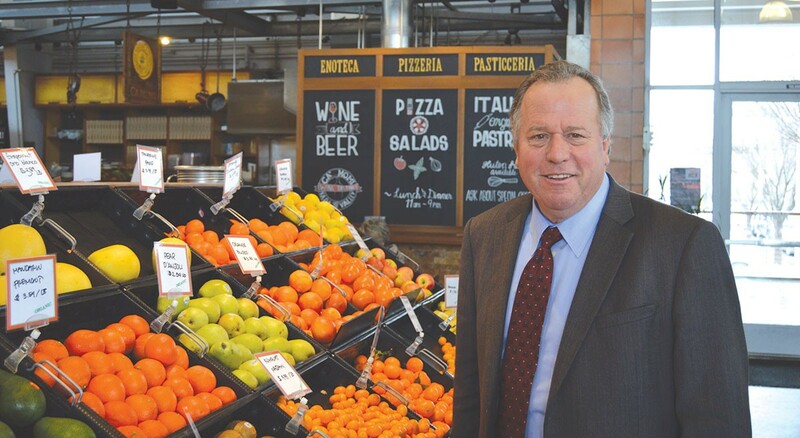 FRESHLY PICKED Assemblyman Bill Dodd was named chair of the agriculture committee in December. He is the first committee chair from Northern California. Napa State Assemblyman Bill Dodd served as a Napa County Supervisor for 14 years before winning his Assembly seat in 2014. He was named to the Assembly agriculture committee, and in December was picked to be its chairman. Dodd, a former Republican, is running for State Senate against former Assemblywoman Mariko Yamada. I met with Dodd at the Oxbow Market in Napa on a recent rainy afternoon. The full interview is online at my Fishing Report blog. The first question to Dodd was about his rise in state politics—and that he's the first-ever Committee on Agriculture chairman who doesn't hail from the Central Valley. Why him, and why now? Bill Dodd: It's probably better stated that I'm probably the first guy from Northern California, maybe north of the Delta, to be the chairman of the ag committee. I haven't spent a lot of time thinking about it, but I think that they've seen in my year in the Assembly that I'm pretty balanced. I have a pretty good ability to balance business interests and environmental interests, and my experience in Napa County, just along those veins, is that I reject the notion that agriculture and the environment are mutually exclusive entities. I really believe that we're in big trouble if the environmental community and the agricultural community can't come together. Because of environmental interests, we have sustainable farming, which has completely taken off. . . . What we should do is celebrate those environmental farmers for the great job that they've done and use them as examples of best practices to farmers that have not yet seen the light in some of these areas. Bohemian: What is your view on this notion of "peak wine," that we've got too many vineyards in Napa County and the North Bay? Dodd: When I was working as a county supervisor, we had our general plan, and we worked really hard to try and identify what was left and have some goals—not only on acreage of grapes that could be planted, but also, how many more wineries do we really need, or want. We've had big community discussions, even when I was first in office in the early 2000s, on grape-growing. Frankly, Napa County's got the most stringent agricultural rules of any agricultural region in the world, and my guess is that Sonoma County is a close second. I think that Napa has about 45,000 acres of grapes, and the conventional wisdom says that the industry would be lucky to increase that by 10 percent or another 5,000 acres or so. Now, there are some people who wouldn't want that at all. But my standpoint is that I think that the erosion control plans that are required, the careful scrutiny of large projects having to have full environmental impact reports, are important to the discussion. Nowhere else are they making them do full environmental impact reports. Bohemian: How do you translate the dynamics on the ground in Napa now that you have statewide authority as chairman of the Committee on Agriculture? Dodd: I think there's a realization, with climate change being such an important policy discussion in the state of California, that many farmers see the writing on the wall and are already working with technology to become more sustainable. Case in point, irrigation. The day and age where we are going to flood-irrigate our crops I think should have come and gone by now. But it is a huge investment to change this; it doesn't happen overnight, but I believe that it's incumbent upon the industry and the market to move them towards solutions to these problems. . . .
Bohemian: Your predecessor on the ag committee [former assemblyman Henry Perea] was part of the moderate caucus of the state Democratic Party, and when he left the Assembly, he almost immediately took a job with the pharmaceutical lobby. You're moving very quickly through governance here—what are your other ambitions beyond elective office? Dodd: It is very, very simple: I intend to serve my eight years, two terms in the state Senate and advance policies that will—we haven't even talked about education—that will make California a better place for future generations. I have five kids and five grandkids, and I just think that the next generation or two of Californians, if we don't advance these important policies, in the state, we will not have anywhere near the California that my parents and grandparents left me. Bohemian: What's your view on the "Fight for $15" minimum wage and how it has played out in the state, locally and nationally? Dodd: I see advancement in the state toward a higher minimum wage. We have to be careful. We represent the entire state of California. And it's kind of like there's a tale of two cities, if you will. You have the interior part of the state of California, where the economy has not come back anywhere near as strongly as it has from Sonoma County to San Diego County on the coast. But if you look at the interior counties—from San Bernardino to Modoc County—unemployment is high, businesses are not back and people are suffering. So I think what we'll see is cities take this on, on a regional basis for the foreseeable future.